This shirt turned out so cute and it was fast to put together. 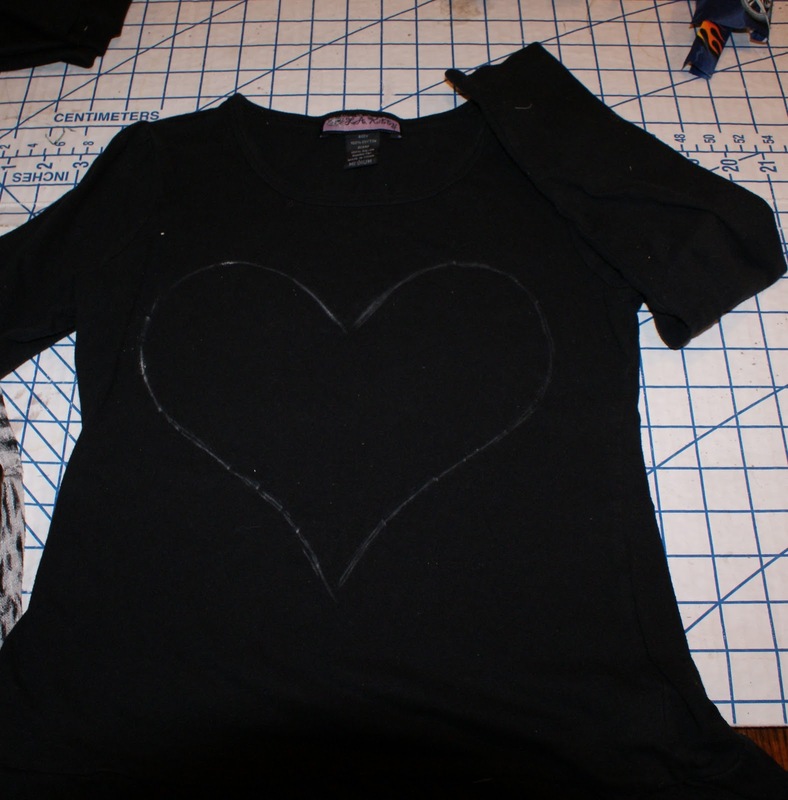 I made a heart template out of freezer paper and traced around it with fabric chalk. 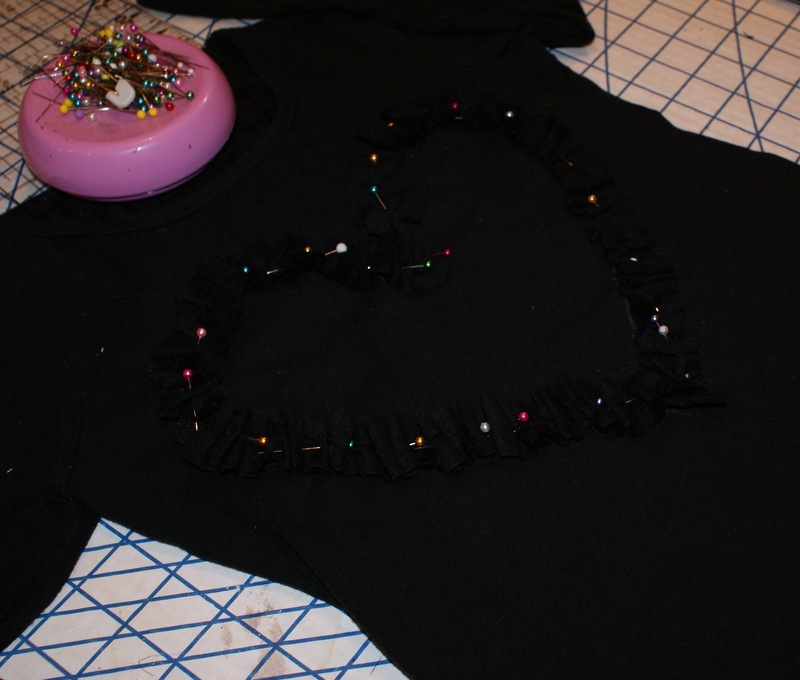 Cut some strips of black nit for the ruffles. Set my machine to it’s longest stitch length and sewed up the center of the strips pushing the fabric in to get that uneven ruffle effect. 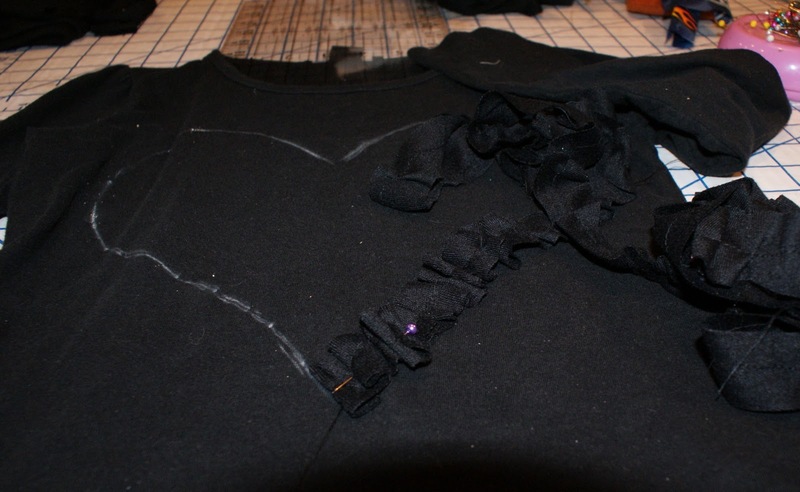 Once I finished ruffling the strips I started to pin in place around the heart. Sorry didn’t take a picture of the top completed without pins but you get the idea. I think it’s really cute. My daughter loved it. I just need to make one for myself. Maybe three small hearts down the center. We will see.